Seventeen-year-old Anya Preschnikov dreams of one day becoming a famous actor, but she's faced with two problems: her one-parent, dysfunctional family neglects her and has no money to support her, and at school, she's the target of her peers' contempt. Anya believes that in order to secure her stepping stone to stardom, she must dress like the rich girls and be surrounded by a large network of friends. All of this changes, though, when Maria Hernandez comes to Peach Valley Senior High. 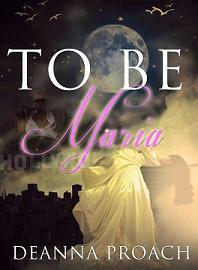 Rebellious and headstrong, Maria instantly gains the acceptance of her peers - yet she sees in Anya what everyone else does not: her physical beauty and immense talent. So when Maria extends her hand of friendship, Anya is elated. Her lifelong dream seems like it's about to become a reality - until it falls short one Saturday night at a party when a boy's rude comment sends her into a rage. Desperate to belong somewhere, Anya and Maria set out to find new friends outside of school. They soon meet Alex and Marissa, a young couple who eagerly welcomes them into their world of parties and drugs. Anya and Maria soon learn that Alex is a drug dealer, but they're so lured by his wealth and aggressive confidence that they can't resist his friendship. What they don't know is that Alex's gang is at war with a rival gang - one run by Anya's older brother, Adrik - until a deadly incident puts their lives in danger's path. To make matters worse, Alex refuses to let Anya and Maria out of his sight. Anya wakes, startled by the loud, repetitive beep of her alarm clock. In a daze, she reaches over to the small night stand and slaps the stop button. She groans, her tired eyes half-closed, while she slips out from underneath the old, but comfortable blanket. Great. I'm so tired. If only I had two more hours - but no. When there's no school, there's work, and that's even worse. I hate that I have to get up at five-thirty every Saturday and Sunday morning. My manager always gives me the worst shifts. Anya shuffles over to the closet. Unlike most other girls in school, she never rummages through the closet in search of the perfect outfit. She rolls her eyes. Oh God, here we go again: the same jeans, faded tank-tops, baggy T-shirts, and sweatshirts. I can't wait until the day comes when I throw away these ugly clothes. I just wish I had the money to buy new clothes, fashionable clothes. Maybe then I'd fit in at school. Anya traces her finger over the delicate cloth of her one and only bohemian-style summer dress. Even the dress is a hand-me-down, worn by her mother back in the 1970s. But it‟s the only piece of clothing she loves; unfortunately, it's still too cold outside to wear it. Thank God for my imagination. I don't know what I'd do without it. The things Anya enjoys the most are brushing her hair and writing in her journal. These are the only times she can let her imagination take her away from home. She can pretend to be anything - anything but herself. Anya rakes her slender fingers through her long hair. Today, I'm the daughter of a wealthy architect, so I'm going to wear a pair of Tommy Hilfiger jeans and a green peasant top, the revealing one. Then I'll put on that expensive necklace and those silver hoop earrings that Mom bought for me yesterday. Anya frowns at her clothes. Ugh, who are you kidding, Anya? Why even waste your time pretending to have something when it makes you even more unhappy to realize that you don't have it? To get her mind off her clothes, Anya looks at her mother's photograph, the one that always sits on top of the nightstand. Every time she looks at the photograph, she studies her mother's features. Her father used to tell her that she looks so much like her mother, Ana Preschnikov, but until now she never gave it much thought. Anya now realizes why her father used to call her Ana. Ana - who must have been in her early twenties when this photo was taken - boasted the same long, caramel brown hair, chocolate brown eyes, petite, heart-shaped face, slender nose, and smooth, cream-colored skin. Anya often wonders what life would be like if her mother was still alive. It has been so many years since she passed away that Anya has forgotten what it's like to have a mother. Sometimes she dreams about her mother, longing for the comfort of her tender arms and loving words. Her eyes eventually shift away from the photograph to the journal sitting on the floor in front of the nightstand. The front and back cover is of a soft blue and leather. She received it as a Christmas gift from her best friend, Patrick, a little over one year ago. Since then, she's filled it with her thoughts until only a few empty pages remain; she‟s planned to leave those pages blank until she purchased another journal - something she‟s decided to do after work this weekend. "Oh heck, I can't wait until the weekend. I really need to clear my mind," she whispers. She changes into a T-shirt and a pair of jeans, grabs the journal off the floor, then walks over to the kitchen. The kitchen is messier than usual. Two of the cupboard doors are left open, the sink is filled with dirty dishes, and the counter is littered with stale food, wrappers, cutlery, and cups half-filled with juice. As she bites down hard on her lower lip, she can feel the red creep up her neck and over her face. Why doesn't my dad clean up after himself? Why does he expect me and Sophia to clean up after him all the time? She sinks into the nearest chair, breathing out a long, angry sigh. Her stomach growls, warning that if she doesn't eat she'll spend the entire day tripping over her words and suffering from exhaustion and a bad headache - something she‟s endured several times in the past. Anya leaves her journal, then walks over to one of the open cupboards. As predicted, it‟s empty - save one box of macaroni and cheese and a package of Mr. Noodles. Anya shuts the door, then peers into the next cupboard; all that remains in there is a box of Cheerios. She grabs the box, realizing that it's more than half-empty but thinking that it should be enough to satisfy her until lunch. Deanna Proach is the author of two novels: Day of Revenge (Inkwater Press) and To be Maria (PULSE). When she's not writing novels, Deanna is actively involved in her local theatre community as an actress, and she's learning the art of medieval sword fighting. You can find out more about her and where you can purchase her books at desstories.blogspot.com.